Say hello to a more rewarding way to book business travel with Emirates Business Rewards. If you’re part of a company, club, or charity, you can earn Business Rewards Points every time your employees or guest travelers fly. You can use your Points to book Dynamic Reward flights and upgrades. We’ll even reward individual travelers with Skywards Miles on the same flight. Earn 1 Business Rewards Point for every USD 1 spent*You'll earn 1 Business Rewards Point for each USD 1 spent on the base airfare, including carrier charges but excluding taxes and other industry partner charges. Business Rewards Points are only earned on Emirates flights, and not on codeshare, interline, or other partner flights. Individuals who are already Emirates Skywards members will also earn Skywards Miles and Tier Miles at the normal rate**Only travelers who are Emirates Skywards members will earn Skywards Miles. They will also earn Tier Miles on the flight. Travelers who are not Emirates Skywards members will not earn Skywards Miles, but the organization will earn Business Rewards Points. Read the full Emirates Skywards term and conditions. *You'll earn 1 Business Rewards Point for each USD 1 spent on the base airfare, including carrier charges but excluding taxes and other industry partner charges. Business Rewards Points are only earned on Emirates flights, and not on codeshare, interline, or other partner flights. **Only travelers who are Emirates Skywards members will earn Skywards Miles. They will also earn Tier Miles on the flight. Travelers who are not Emirates Skywards members will not earn Skywards Miles, but the organization will earn Business Rewards Points. 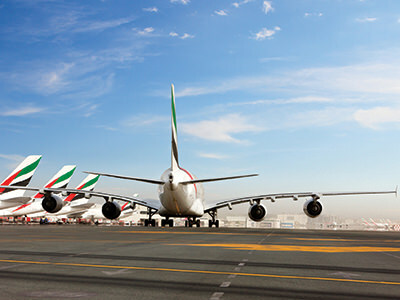 Read the full Emirates Skywards term and conditions. 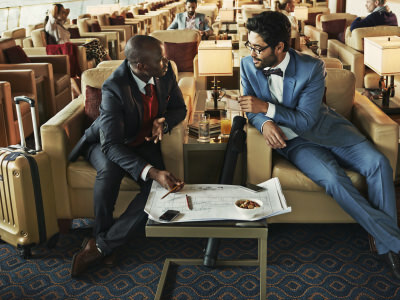 Whether you want to book future business travel or reward your employees, you can spend your Business Rewards Points on flights and upgrades on Emirates. Dynamic Reward flights are available in every class, and on most Emirates flights. If you want to upgrade one of your employees or a guest traveler, you can use your Points to pay the difference in the fare. You can book your organization’s travel online, through Emirates Contact Centers and Ticket Offices, or via your preferred travel agent. Nominate a Program Administrator to book flights, manage travel for employees and guest travelers, and track your Points balance. 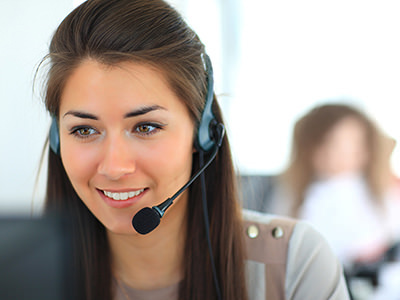 Everything can be done online, so you can access your account 24/7.